Songza is a radio streaming service that competes directly with services such as iTunes Radio. Instead of offering on-demand listening and offline playback, Songza focuses mainly on curation and providing a hassle free listening experience. This approach means you spend less time looking for music and more time actually listening to it. One of the staple features of Songza, Music Concierge, allows you to play music that specifically caters to your mood or current activity. Songza then serves up a list of playlists that match your description. You can also browse Songza playlists by genre, decade, and more. Songza can also save a list of your favorite stations for playback later. There are thousands of hand picked playlists to choose from so finding something to suit you shouldn't be very difficult. Songza is one of the very few services you can tap play on and walk away for hours without worrying about a playlist running out of tracks or repeating the same things over and over. Aside from catering to folks who want hassle free music playback, iPhone users will get one of the best designed music streaming apps available. Navigation is intuitive and easy and the interface blends extremely well with iOS 7. 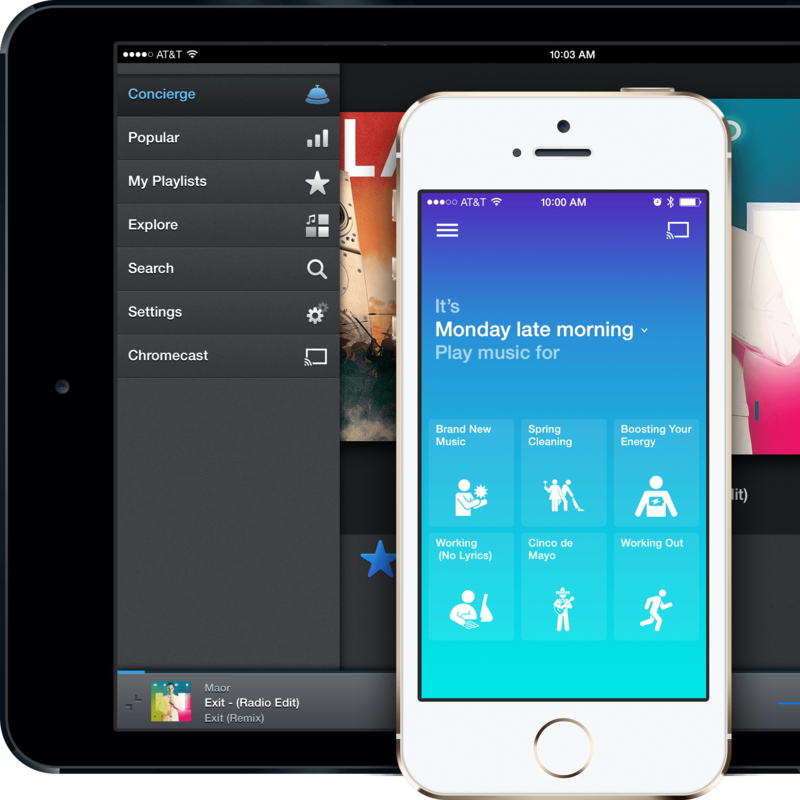 The Songza app is currently available for both iPhone and iPad. While the iPhone app has been updated for iOS 7, the iPad app unfortunately has not received the same update just yet. You can download each app for free in the App Store. It is completely free to download and start using Songza. However, you will hear commercials and see ads throughout the app. You can subscribe to Club Songza for $3.99 per month via in-app purchase. This removes all ads and commercials as well as unlocks playlists and premium content that is only available to paid Songza subscribers. iTunes Radio vs Pandora vs Songza vs TuneIn Radio vs Last.fm: Radio streaming music services compared! Dear Sonos, please make me headphones!